Genuine OEM Canon Toner Cartridge, Yellow, 8,500 page yield. 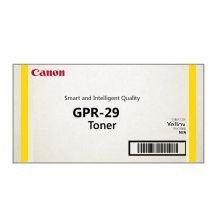 Canon part number: 2641B004AA, 2641B004, GPR-29. Color Laser Toner Cartridge compatible with Canon imageRUNNER LBP5460. Remanufactured Canon Toner Cartridge, Black, High Capacity 10,500 page yield. Replaces Canon part number: 2645B004AA, 2645B004, GPR-29 Black. Laser Toner Cartridge compatible with Canon imageRUNNER LBP5460.